Development students should consider Fanon’s ethics as he was passionate about freedom, justice and human rights. However I will argue that freedom can be achieved by the action of the oppressed, although violent struggle involving the use of weapons is not essential (Arendt 1969). Fanon asserts “decolonization is quite simply the replacing of a certain ‘species’ of men by another ‘species’ of men” (1965:27). Decolonization is “meeting of two forces, opposed to each other by their very nature” (1965: 27,28). Jean Paul Sartre’s existentialist philosophy influenced Fanon greatly. Sartre declared that Man exists, appears on the scene, and, only afterwards, defines himself. Sartre says that man should discover that there is no pre-designed human character and man creates his own character (Gardner 2009). Sartre and Fanon radically oppose any argument that black people are inherently inferior. Building on Sartre’s argument Fanon asserts that the settlers created the distinction between themselves and the people with black skin, who were native to the land. Fanon argues that the settlers ignorantly declared that there was an evil character apparent in all native people. But this character was created and imposed on them. Fanon’s decolonization means the natives can liberate themselves from this false racist description of their character. “Decolonization is the veritable creation of new men” (Fanon 1965: 28). “The native can see clearly if decolonization has come to pass or no, for his minimum demands are simply that the last shall be first” (1965:35). This is ironic as this saying “the last will be first, and the first will be last” is from a parable about the grace of God’s Kingdom in the New Testament of the Christian Bible written in Matthew (chapter 20 verse 16). Fanon took a Christian principle and instead of believing that you can rely on God to bring justice, as the Christian missionaries preached, he advocated that the ‘last’ should bring about this victory for themselves. They are responsible for achieving the recognition of their own humanity (Zeilig 2012). Is Violence Necessary for Freedom? Fanon’s ethics are contested. Some consider him to be a dangerous preacher of violence and hatred while others declare him the voice of the poor in developing countries (Haddour, 2006). Bhaba (2004) argues that Fanon’s ethics of decolonization are scarred by his obsession with violence. Arendt (1969) condemned Fanon for encouraging hatred toward anyone in power and glorifying violence for violence’s sake. Conversely Zeilig (2012) argues that Fanon’s arguments for violence must be read considering the historical context in order for them to be understood. Reading Fanon’s work allows you to empathize with the colonized as he describes their experience. Zeilig interprets Fanon’s ethics to mean that that in order to overthrow a cruel regime that has treated you as inferior, as an animal and has harmed you severely both physically and psychologically you require force. Every man who is oppressed desires freedom but in order to get it you have to resort to using violence (Zeilig 2012). “violence for Fanon is just a moment, a negative instance in the process of decolonization” (2006:xvi). However, Arendt contends that once humans taste the power that they get from using weapons they want to use violence more. They then use ideologies to justify their violent actions. Although violence is effective in bringing grievances to public attention, empowerment can be achieved by collective non-violent action (Arendt 1969). Fanon is not to be dismissed as dangerous or deluded (Haddour 2006). His ethics are still significant. He was enraged by the wealth of Europe contrasting the poverty and suffering in the developing world. His arguments about the scandalous global situation of inequality are relevant today. Those that suffer are making development happen for themselves today. Fanon’s vision for development was a regime “completely orientated towards the people as a whole and based on the principle that man is the most precious of all possessions” (Fanon 1965:175). Aung San Suu Kyi’s non-violent movement aims for a peaceful revolution in Burma where democracy and human rights can be established. Like the South African leader Nelson Mandela, she has become an international symbol of peaceful resistance in the face of oppression. Mandela and Aung San Suu Kyi prove that empowerment can come from non-violent action although this requires forgiveness. One violent action with a weapon will provoke another. Hatred never ends until one side forgives the other. “…the oppressor must be liberated just as surely as the oppressed. A man who takes another’s freedom is a prisoner of hatred, he is locked behind the bars of prejudice” (Mandela 1995:751). Arendt, H. 1969. On Violence. London: The Penguin Press. Fanon, F. 1965. The Wretched of the Earth. London: Macgibbon & Kee. Satre, J. 1965. in Fanon, F. 1965. The Wretched of the Earth. London: Macgibbon & Kee. Zeilig, L. 2012. 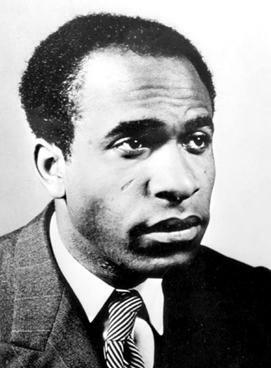 Pitfalls and Radical mutations: Frantz Fanon’s revolutionary life. International Socialism Journal: 134. Spring. Pp. 141-166.